Welcome to Hickory Day School! 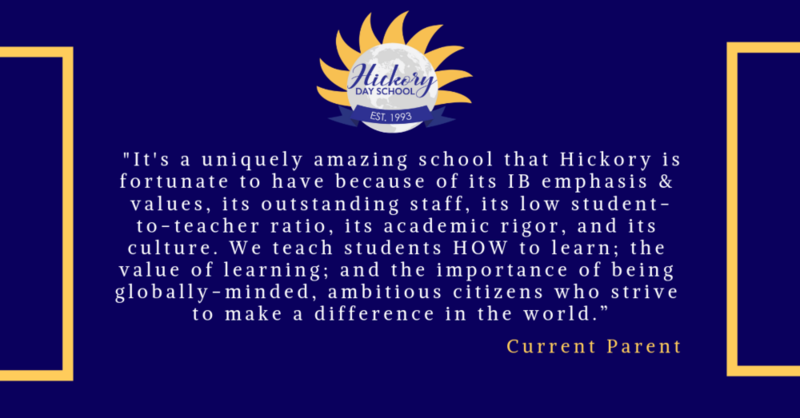 Click to see what people are saying about Hickory Day School! Nestled among 16 acres in northeastern Catawba County, Hickory Day School serves students in kindergarten through 8th grade in a nurturing learning environment. The school’s curriculum is accredited by the International Baccalaureate Organization’s (IBO) Primary Years Programme and by the Southern Association of Independent Schools (SAIS). Classes are academically challenging yet innovative and inspiring at the same time. 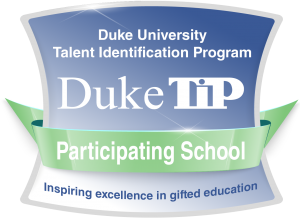 Hickory Day School is proud to be one of only 15 elementary schools in North Carolina to be accredited by the IBO. The 6th through 8th grade middle school, housed in its own state-of-the-art building on campus, provides a college-preparatory experience for students. The underpinning foundation of everything Hickory Day School does is summed up in the learner profile words of the International Baccalaureate Organization: principled, caring, open-minded, reflective, balanced, and knowledgeable students who are risk takers, inquirers, communicators, and thinkers.